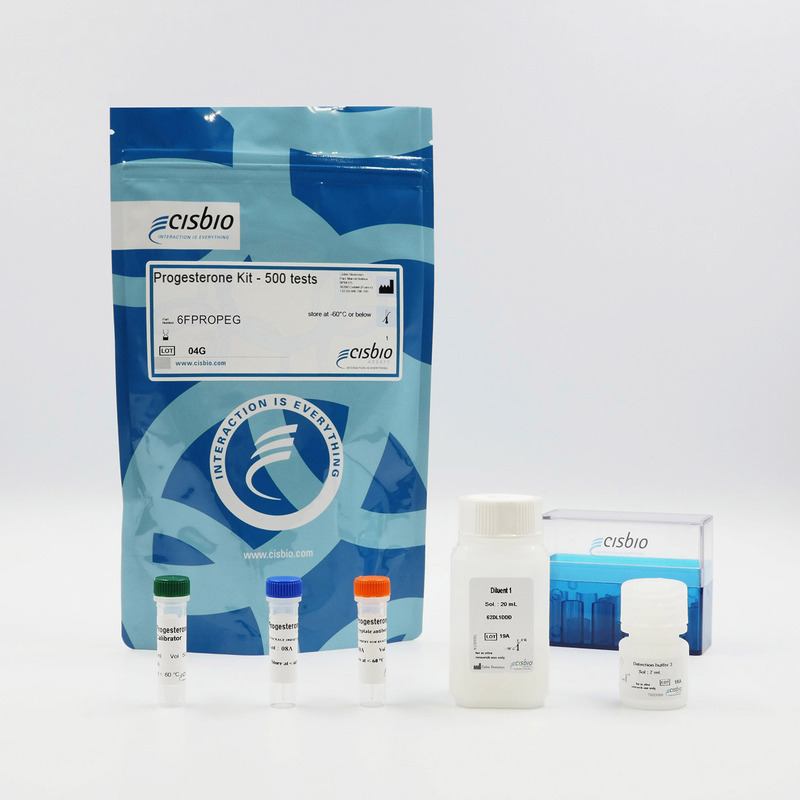 The Progesterone kit designed for the rapid detection of the steroid in cell lysate, serum, and plasma. Progesterone is a steroid hormone involved in the female menstrual cycle, gestation, and embryogenesis of humans and other species. Progesterone belongs to a group of steroid hormones called progestogens that are involved in a large number of regulations, such as human female reproductive function in the uterus, ovary, and mammary gland. Progesterone is also associated to non-reproductive activities linked to the cardiovascular system, bone, and central nervous system. Progesterone is conserved among all species, which broadens the use of the kit. The progesterone assay is based on the competition principle, where native progesterone produced by cells and d2-labelled progesterone compete for binding to a monoclonal anti-progesterone antibody labelled with Europium Cryptate. The assay can be run with several types of samples, such as cell lysates, serum, and plasma. The progesterone assay features a streamlined protocol with only 1 incubation step after sample and progesterone detection reagents dispensing. This protocol requires a single 1-hour incubation period at RT.